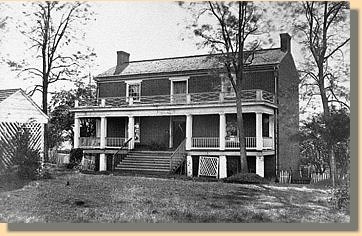 whose house was on the battlefield at First Manassas. Contrary to some paintings, Lee and Grant did not sit at the same table during the surrender negotiations. 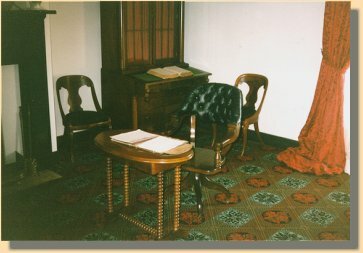 Lee's Table is in the Chicago Historical Society Museum. It was taken from the McLean parlor by General Edward O.C. Ord who claimed he paid $40 for it. 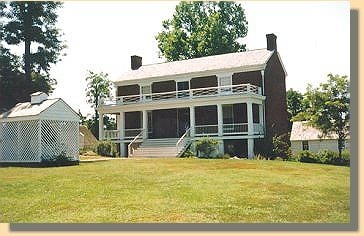 It was stored at Fort Monroe until 1887, after Ord's death. It was then sold to C.F. Gunther, Chicago businessman whose relics were later passed to the Chicago Historical Society. April 1865. Lee's surrender table is in the doorway. Grant's Table is in the Smithsonian Institute, Armed Forces Division. It was taken by General Sheridan who offered $20 in gold to McLean who refused the offer. The table was taken anyway and money thrown on the floor. The table was sent to Mrs. Custer by her husband and loaned to the Smithsonian in 1912. 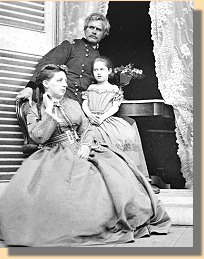 Title to the table was transferred in 1936, ten years after Mrs. Custer's death. GENERAL ROBERT E. LEE C.S.A. Copyright, 2000 - 2017 by USACivilWar.com.